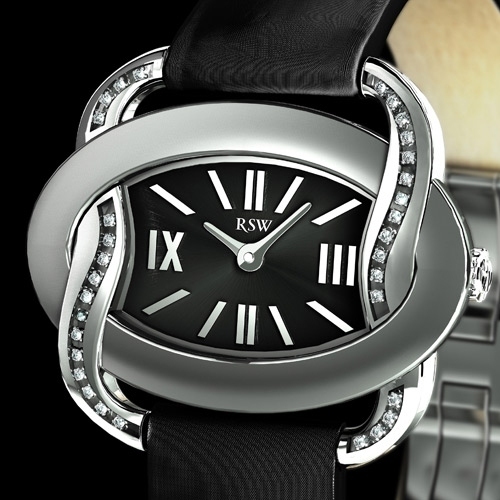 RSW highlights the senses with its Windflower model. This latest creation in the Classic Elegance collection is named after and inspired by the anemones that form thick carpets amid forest undergrowth in early spring, when the growing leaves exude a musk-like fragrance. The design is strongly reminiscent of the outlines of the flower. Two bezels entwine: the gemset one serves as the lugs, while the other frames the oval case. The pure dial and the satin strap add a final touch of class that is indispensable in meeting the values and aspirations of contemporary women.